If you’ve ever wondered which party is more “ethical,” public relations professionals or lawyers, the answer can be summarized in two words: Jussie Smollett. The obscure actor, purportedly “accosted” by MAGA hat-wearing racist homophobes on the frigid streets of Chicago, is back in the news. First, the city of Chicago sued Smollett, seeking to recover more than $130,000 for costs related to the investigation of the actor’s dubious complaint. Then, Kim Foxx, the embattled Cook County Attorney, called for the county’s inspector general to review how her office handled—or if you’re so inclined, “mishandled”—the case. Regardless of how the lawsuit or the investigation turns out, the Smollett case has already yielded nourishing lessons for public relations professionals, specifically highlighting the differences in the counsel offered by PR people compared to lawyers. Assume for a moment that the actor, as the Chicago police charged, hired two African American associates to “attack” him, and then lied about it. Here, then, are the key questions that client Smollett faced and how his handling of them might’ve been different, had he consulted savvy PR advisors rather than ethically-challenged attorneys. This is the first question an attorney asks a client. The client then tells the lawyer what went on, and generally, the attorney leaves it at that and accepts the explanation. The reason a lawyer doesn’t probe is that he or she is forbidden to tell a judge or jury that the client didn’t do something the lawyer knows he did. In Smollett’s case, of course, the actor claimed he was attacked by two white men, and his lawyers ran with it. Had a PR professional been on hand, the question wouldn’t have been, “What happened?” but rather, “What did you do?” Public relations people must probe more deeply to determine if the client is telling the truth. If you think your client is lying, then you risk losing your own credibility by defending his innocence. One essential responsibility for a PR person is to present the client with a “worst case” analysis. In other words, determine, in advance, what’s the worst thing that can happen. In Smollett’s case, the worst thing that could happen was that he’d be found out to be lying about the attack, thus committing a crime, destroying his reputation and imperiling his career. Had a public relations advisor been consulted before Smollett’s cockamamie stunt, the actor might’ve been talked out of risking everything on such a hare-brained idea. After the fact, a PR advisor would’ve cautioned the actor to tell the truth and show contrition, rather than continuing to follow his lawyers’ advice to insist on his innocence. “Doing the right thing” is the ultimate public relations mantra. A PR professional, on the other hand, doesn’t tell you what you “must” do but rather what you “should” do to defend yourself in the Court of Public Opinion; there’s a big difference. In Smollett’s case, the “right” thing to do, especially after the case was thrown out, would have been to admit what happened, take responsibility for the mistake that clearly was made, apologize profusely for wasting everyone’s time, and volunteer to make restitution to the city that took the actor seriously and wasted scarce taxpayer resources accordingly. The last thing a thoughtful PR advisor would’ve counseled Smollett was to continue to maintain his innocence. Jussie Smollett’s statement at his press conference after Foxx had thrown in the towel was stunning in its audacity. Following his lawyers’ advice to play the “victim” to the end, the actor refused to be remorseful. What should Smollett have said? Well, he could’ve taken a cue from fellow actor Felicity Huffman, who pleaded guilty and accepted full blame for participating in the college admissions cheating scam. 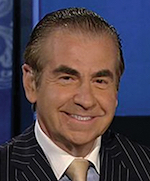 Fraser P. Seitel has been a communications consultant, author and teacher for 40 years. He is author of the Pearson text ”The Practice of Public Relations,” now in its 13th edition, and co-author of “Rethinking Reputation” and ”Idea Wise.” He may be reached directly at yusake@aol.com.